islands or acoustic clouds. Installation both on walls and ceilings. Infinite possibilities. 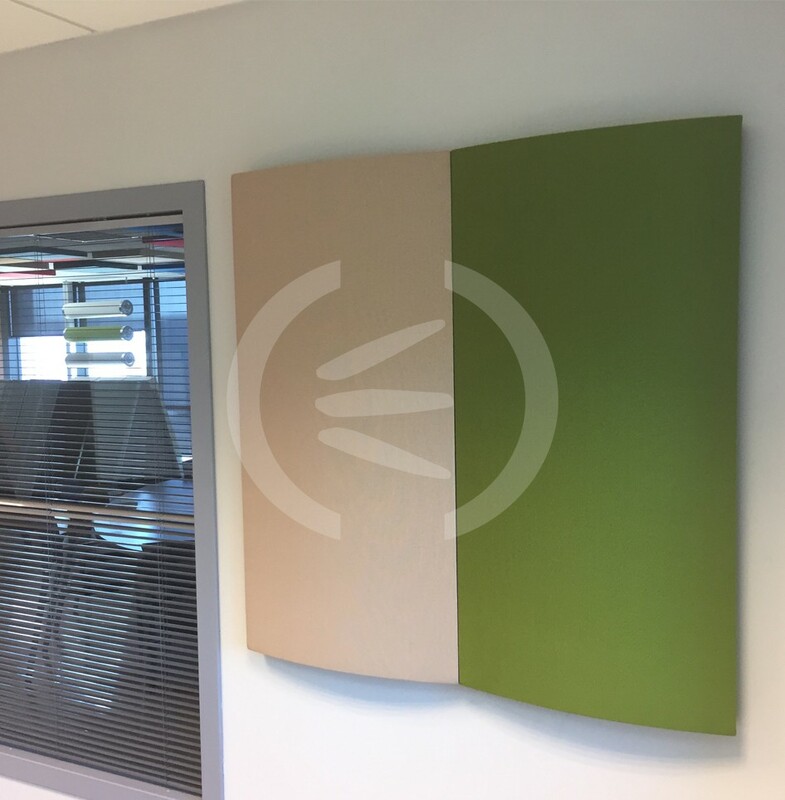 Improves the absorbent response and reverberation times for all kind of premises where the standard solutions are not possible. Easy installation. Innovative design. Wide range of colours that can be combined to achieve aesthetic, beautiful and elegant atmospheres. exhibition rooms, large department stores, hotels, hospitals, outpatient clinics, gyms, etc. Absorbent filling material: Acustifiber F.
Finish: Fabric. Colours to choose according to standard colour range. Dimension: 1200 x 600 mm. Thickness: 50 mm. Weight: 4.5 Kg/m². -Filling: Bs2d0 according to AITEX Nº 14AN2697. -Acustiart fabric: Bs1d0 according to AITEX Nº 14AN2696. 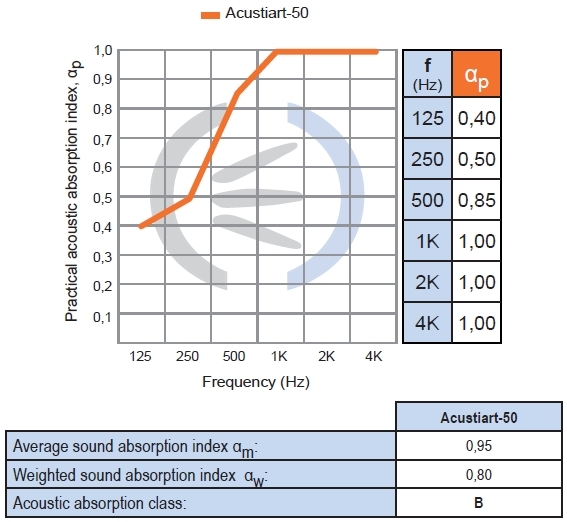 Acoustic absorption: APPLUS nº 11/4191-2913. Test performed on false ceiling configuration. 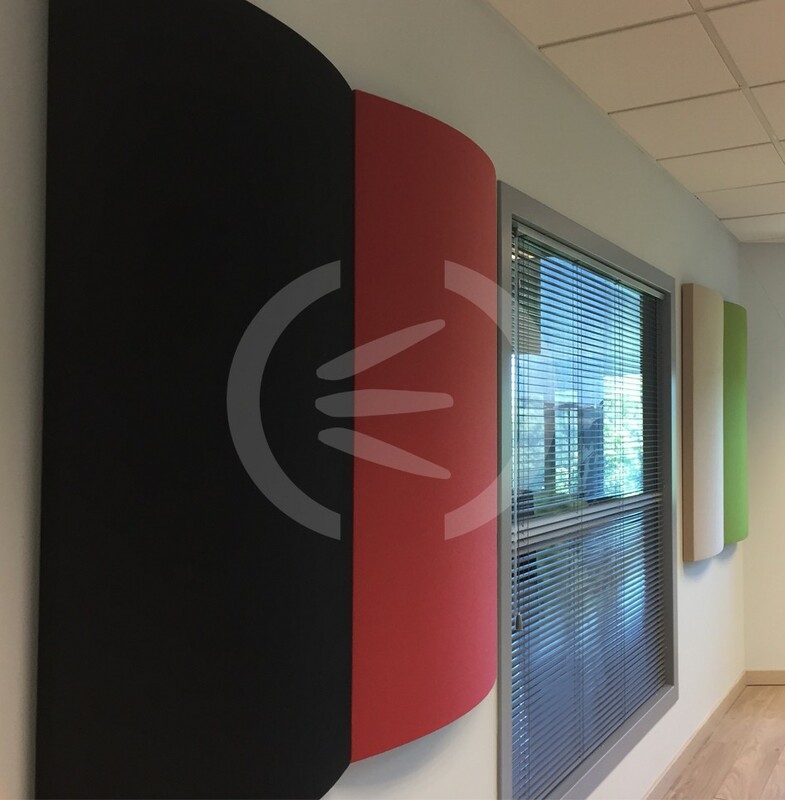 Acustiart Curve acoustic panels are extremely delicates and should be handled with the utmost care. 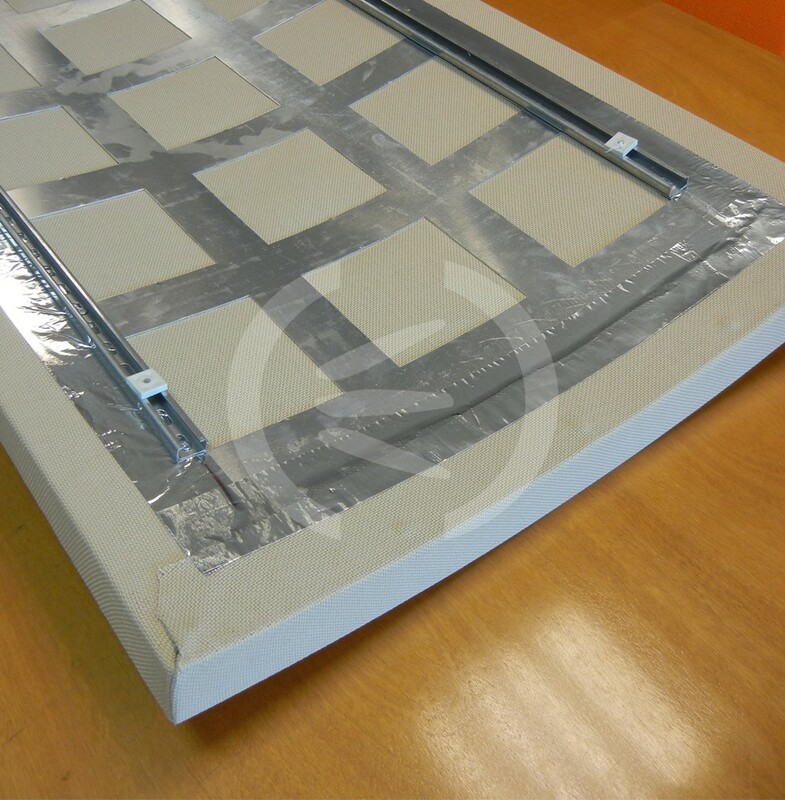 They are supplied with a plastic cover to avoid damage during transportation, handling and installation. This plastic should be removed and care taken not to use sharp objects which might damage the fabric. The product is relatively heavy and two workers should be employed for handling purposes. Anchoring with hooks: Make the holes in the wall for hooks anchoring. Fix the hooks to the wall by using appropriate anchors. Hang the Acustiart panel by introducing the hooks xed to the wall to the holes in the rear face of the baf e. Verify that the Acustiart panel is leveled. 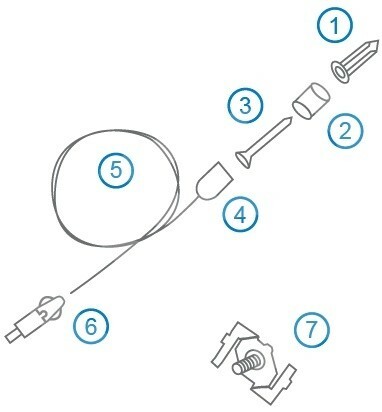 Drill and insert the peg (1). Screw the lag (3) so that it goes through the xing piece (2). Already tightened, screw the xing piece (4) to which we have previously introduced the steel cable (5). The cable will be introduced in order to cross the xing piece (6). We will press the button to release the cable and we’ll let it go to the desired length. (2 y 4) – 4 pieces of steel cable support. (3) – 4 lag screws. (5) – 4 steel cables. (6) – 4 threaded supports with brake for steel cable. (7) – 4 clips for “T” standard ceiling profiles. Download the complete product data sheet.